Since its foundation in 1979, PB Design has worked ceaselessly to develop and bring to the market a full range of battery chargers, UPS, batteries and system services for all types of AC and DC standby applications. The Introduction of "lean" principles and techniques has enabled an ethos of continous improvement and adding value to our products and services. Our total commitment to customer care is reflected in an enviable level of repeat business from an ever-expanding customer base. We have successfully completed many projects in a wide range of applications and environments. They all required our specialist electrical engineering skills and effective project management, along with high standards in quality, safety and environmental processes. Despite the unsettled political and economic situation in Java, PB Design has recently supplied and delivered eighteen battery chargers and distribution systems for use on the Country’s National Grid. The £350,000 order - placed by Alstom T&D Systems for PLN, the Indonesian state owned electricity company - comprised eighteen of PB Design’s 110V DC battery chargers and distribution systems, complete with NiCad batteries. 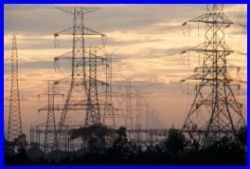 The equipment will be used at various sites on Java Island, maintaining the power to a number of sub stations being used to develop the country’s electrical infrastructure. Copyright 2019 PB Design, All rights reserved.